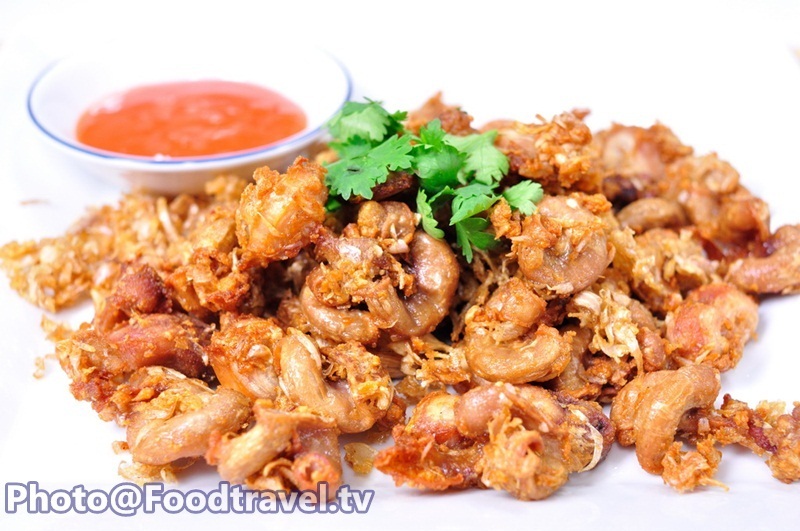 Fried pigs intestine - This menu is another favorite menu for Thai restaurant. Preserve them and fried until they got a good smell and crisp. Serve with the chili sauce and eat with the rice. 1. Boil the pigs intestine with salt for about 30 minutes then leave them cool. 2. Chop the pigs intestine for a bite and put fish sauce , sugar , oyster , pepper and chopped garlic into the same bowl for preserve intestine about 15 minutes. 3. Roll the intestine with flour. 4. 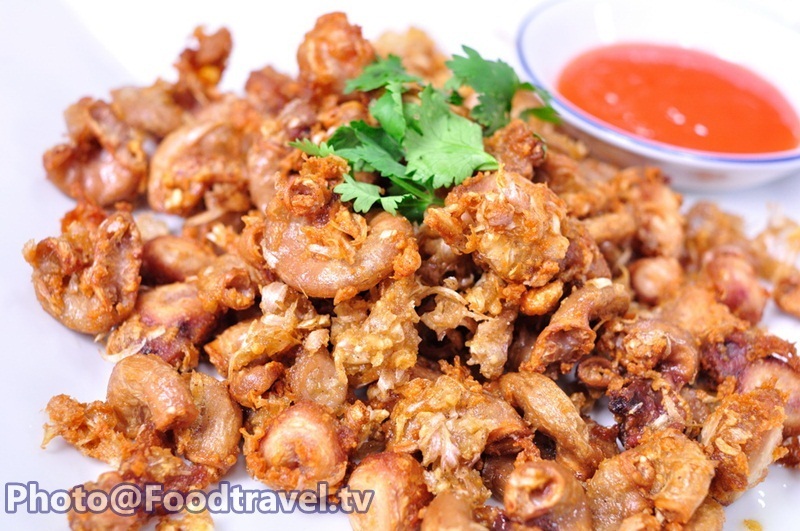 Fry them until they done and serve up with rice.